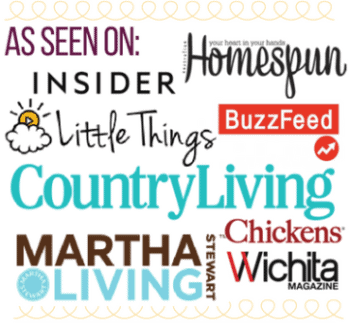 One of the very first of my frugal adventures? 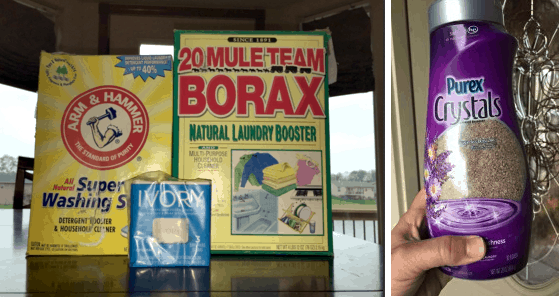 Making homemade laundry detergent. This one is so simple, it is literally impossible to screw this up. All you need is an old food processor – we use one handed down from Paul’s grandmother – or a cheese grater. Note that the food processor will work wonders and you’ll be done in just a few short moments. 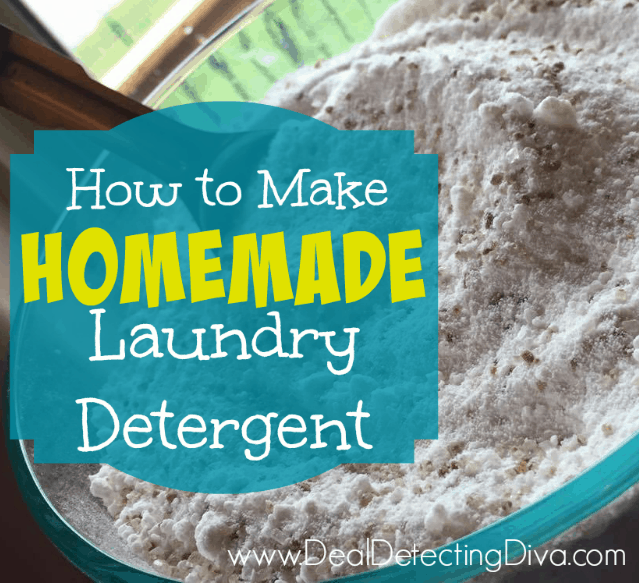 I choose to make the powdered detergent because it is MUCH faster, cleaner and so much easier to make. You could double this recipe, or halve it if you’re just wanting to try it out before fully committing. This will last quite a while as you’re only using about 2 tablespoons per load. 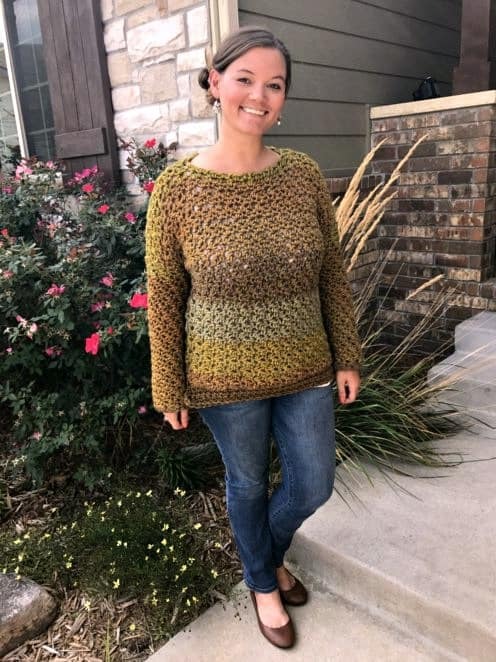 Another thing I love about making my own? The ingredients are similar to that of the homemade dishwasher detergent tabs, so I can whip them up at the same time. Two birds, I say. *Fels Naptha is a preferred bar soap for powdered homemade laundry detergent (you can find it just about anywhere near the detergents) but in a pinch you can substitute any other perfume/dye free bar soap. You will need a large container – preferably one with a lid. I cut the bar soap into chunks. The chunks are small enough to fit in the food processor and it only take a few seconds before the soap is powdery fine.  Much better than grating by hand! Note that the Ivory is much more moist soap than the Fels Naptha, so we find it helpful to add some of the borax/soda to the food processor after chopping up Ivory. It also helps all of the mixture that was sticking to the sides and blade of the processor to come right off. Mix all ingredients together. You could add some Downy Unstopables or Purex Crystals for added scent. That’s it! You are done… less than 5 minutes and this will last you a loooong time. YES! The main difference between HE and non-HE laundry detergent is the amount of suds created. Since this homemade recipe is very low-suds, it should be fine for HE machines. We use it in ours just fine. Of course as with anything, use discretion when in your own machine, and if trying for the very first time, you might make a smaller batch before getting all gung-ho. When using your homemade laundry detergent in a front loader (HE) machine, you’ll want to add it straight to the basin. We first used ours in the detergent slot and not all of the detergent was flushed through to wash basin. Use about 1/8 cup (or 2 Tbsp) for a full size load of laundry. You can also use vinegar as a fabric softener and deodorizer. If you do, add about 1/4 cup to the last rinse in the washer cycle. Vinegar helps to break down the soap particles and prevents yellowing but it is mild enough not to harm your fabric – and you won’t be able to smell it! What kind of container does it need to be in? I have a gallon ice cream bucket that I want to use, will that work? Oh yeah! That'd work fine. I like to keep mine air tight, but if it gets clumpy you can just use a butter knife to fluff it back up. 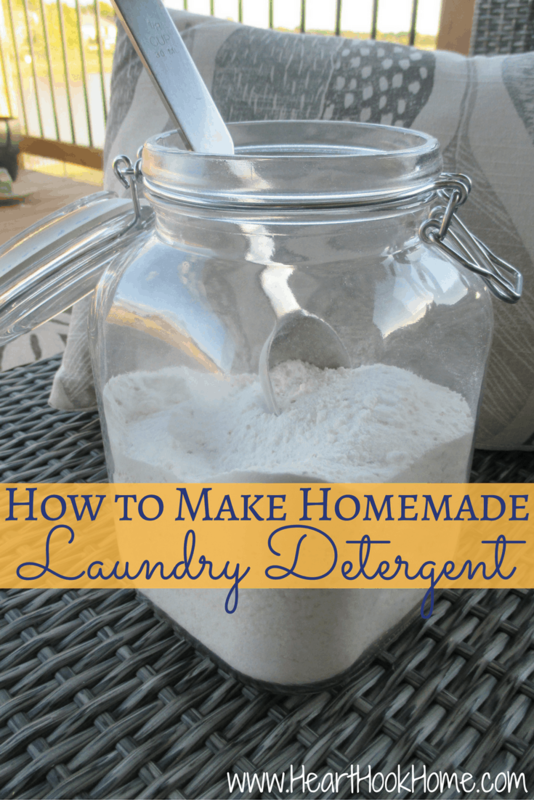 Do you have a per load cost for the homemade detergent? With the vinegar included? Also, what amount would I use per load since my washer isn't HE? Thank you! I've used a version of this for over two years with my HE front loader and absolutely love it! I use Zote soap instead of Fela Naptha and add box of regular baking soda as well as tub of oxyclean, husbands work and sons baseball clothes get really nasty. I also add the Pyrex crystals just for smell. I haven't even had to use any type of fabric softener. I will never go back to Tide.